Historic Mile 47 Fort St. John/”Camp Alcan”: In 1942 Fort St John “exploded.” What had been home to 200 became temporary base for more than 6,000. Fort St. John is The Energetic City, located in the heart of majestic Peace River country. With it’s population at 19,000 it is the largest regional service center in northeastern BC. It services 60,000 people in the area and offers residents and visitors year round amenities. It has a resource base of oil, natural gas, forestry and agriculture, which make it a young and vibrant place to call home. Historically, Fort St. John traces its roots back to the end of the 18th century when Sir Alexander Mackenzie opened a series of forts along the Peace River to service the fur traders. Fort St. John has undergone five location changes to adapt to its changing needs as a growing community. At the end of World War I many veterans moved westward to the fertile agricultural lands on both sides of the Peace River, and formed the population base for the then tiny hamlet of Fort St. John. In March 1942 the construction of the Alaska Highway began and in a few short years Fort St. John’s population swelled to 2,000. With the completion of the Alaska Highway, only 8 months later in October 1942, the American troops left and the population dropped to 700. In 1952 gas and oil was discovered and by 1957 the refinery at Taylor and a Pipeline to the south had been built. On July 1, 1975 incorporation as a city took place and Fort St. John hasn’t looked back. There is an infectious, energetic rhythm in Fort St. John, a City that has the second youngest population in British Columbia. The city is rich in natural resources; mainly oil and gas, timber, hydroelectricity and agriculture. More grain, seed and honey is produced here than anywhere else in BC. Here adventurers, recreational enthusiasts and wildlife share thousands of acres of pristine wilderness playground. 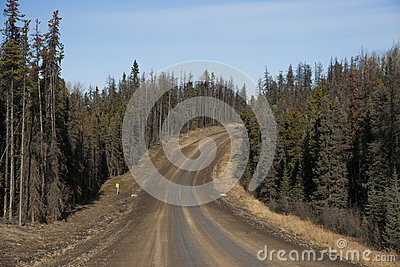 The area around Fort St. John is considered to be one of the recreation jewels in British Columbia. The City of Fort St. John is a city in northeastern British Columbia, Canada. A member municipality of the Peace River Regional District, the city encompasses a total area of about 22 square kilometres (8.5 sq mi) with 18,609 residents at the 2011 census. 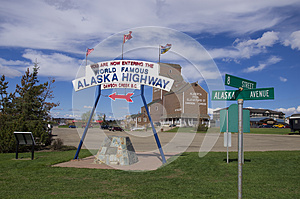 Located at Mile 47, it is one of the largest cities along the Alaska Highway. 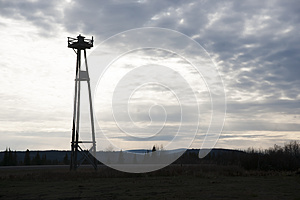 Originally established in 1794, as a trading post, Fort St. John is the oldest European-established settlement in present-day British Columbia. Fort St. John is served by the Fort St. John Airport. The municipal slogan is Fort St. John: The Energetic City. Over the years the community has been moved a number of times for varying economic reasons. The present location is thought to be its sixth. The original trading post built in the area was named Rocky Mountain House (not to be confused with the modern Alberta town by that name). 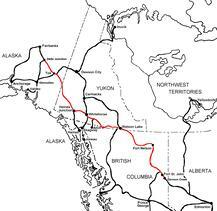 It was established one year after Sir Alexander Mackenzie explored the area in 1793. One of a series of forts along the Peace River constructed to service the fur trade, it was located southwest of the present site of Fort St. John. The Dunneza and Sikanni First Nations used it as a trading post. It was also used as a supply depot for further expeditions into the territory. The fort closed in 1805. Fort d'Epinette was built in 1806 by the North West Company. It was renamed Fort St. John in 1821 following the purchase of the North West Company by the Hudson's Bay Company. This fort was located about 500 metres downstream from the mouth of the Beatton River, which at that time was known as the Pine River (d'epinette in French). It was shut down in 1823. The site was designated a National Historic Site of Canada in 1958. After a lapse of nearly forty years, Fort St. John was reopened in 1860 on the south side of the Peace River, directly south of the present community. It was moved in 1872 by Francis Work Beatton directly across the river. This community lasted until 1925 when the river ceased to be the main avenue of transportation and the fort was moved closer to where settlers were establishing homesteads. The new town was constructed at Fish Creek, northwest of the present community, on the new trail to Fort Nelson. It did not shut down until 1975. In 1928, C. M. Finch moved his general store to two quarters of land where he also built a government building to house the land, telegraph and post offices. The present site for the town was firmly established after he donated five acres (20,000 m²) for a Roman Catholic Church and additional land for a hospital.